College Gear – Show Your School Spirit! After making the decision to donate and finding I was a match, it was time to tell my family the news. I called my niece who would receive the kidney and she was in shock. She couldn’t believe I had gone through all of this for her. Her shock turned into tears and profound gratitude. She called her mother, my sister, who was on the other side of the world on business. It didn’t matter that it was 4 a.m. where she was, my sister also called me in tears. I hadn’t told my children until now. My daughter was moved to tears for fear of losing me. With everyone told, surgery was scheduled during the Christmas break. The day of the surgery, both donor and recipient have to arrive at the same time. I was taken first to prepare for surgery while my niece waited her turn in the waiting room. I was determined to stay positive all through this process. I relied on my faith in God, the love of my family and my goofiness to see me through. Once I got the lovely gown on, my family was able to come back to be with me. My son and daughter broke into an impromptu rap and I danced to it (I’m pretty sure I’m one of a few people to dance before surgery). The surgery is done laparoscopically with three incisions for the endoscope and surgical tools. A fourth 2 inch incision is made at the bikini line to remove the kidney. Once the kidney is removed, it is given to the recipient’s team in an adjoining operating room. My niece and I spent 3 days in the hospital before going home to recuperate. I am so thankful for having a supportive and fun-loving family. You will see, from the video below, how my son and daughter photo-bomb my walk on the unit floor. Leave any questions and I would be glad to answer them. 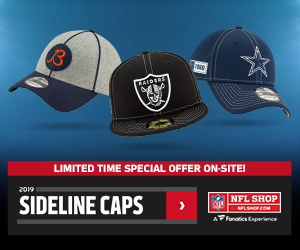 GREAT DEALS OFFICIAL NFL SHOP!!! Ever Thought About Creating a Wedding Registry on Amazon?